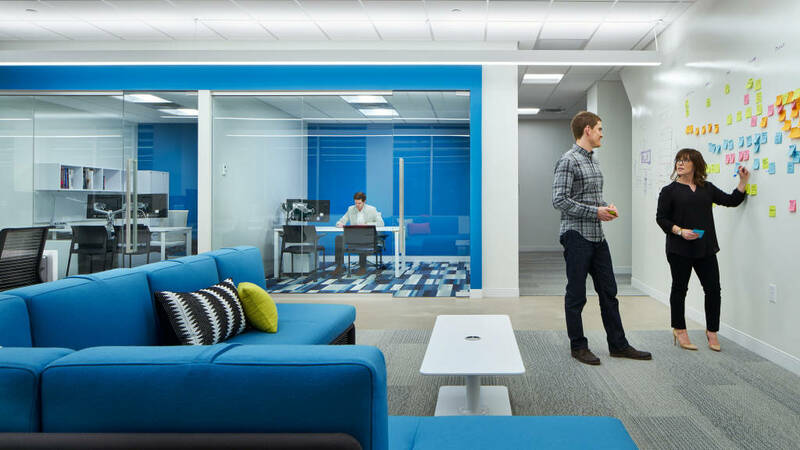 For many years, architects and designers in the St. Paul, Minn. architecture office of HDR, the global engineering and architecture firm, told clients that the workplace of the future would feature open collaboration spaces designed to support an increasingly mobile workforce. Yet their own office was hardly a model of that vision. There was little support for mobile work. Employees were separated into cubicles and enclosed offices, hampering communication and connection. “It was a very regimented way of doing business,” says Jim Thomson, managing principal. HDR’s situation at the time was not unique. Many employees of professional firms, including architects and designers, worked in similarly enclosed and partitioned offices. “But if we tell our clients one thing about the workplace and we live a different way, why are we doing this at all? We needed to be the example,” says Thomson. 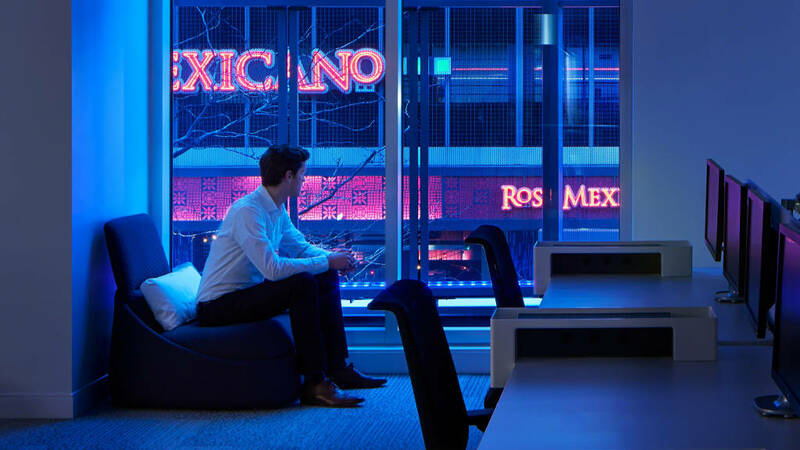 That set the strategy for HDR’s new downtown Minneapolis office, a diverse ecosystem of unassigned spaces where workers choose where and how they need to work: at a bench workstation or a standing-height table, a lounge setting, a glass-front project room, a cozy Brody® WorkLounge, or another space that suits the work at hand. 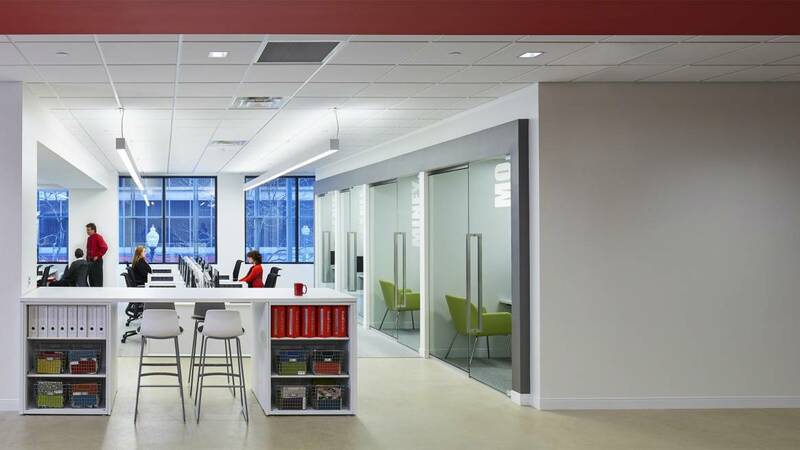 The space emphasizes employee choice, collaboration and wellbeing. The wide range of workspaces at HDR gives employees the ability to choose where and how to work, supports easy communication with their peers and promotes mobile work. This vision is based on architecture offices from the past. When HDR began planning the space, employees were asked to find photos of work environments that represented how they wanted to work. Many selected images of architecture offices from nearly a century ago. The result is apparent even before entering the HDR office, which is located along a downtown Minneapolis skyway. Pedestrians on this public walkway can see into HDR’s office, including the reception area that opens to a standing-height coffee bar and a large team workspace. 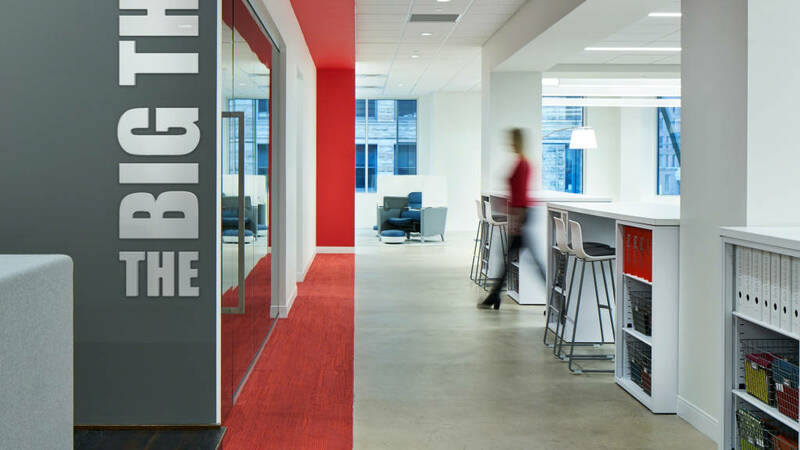 THE BIG THINK is an area in HDR’s space that combines the reception area with a coffee bar and large team space that puts interaction, collaboration and the creative process on display. The BIG Think and the adjoining hospitality area, which is about 1,200 square feet, can easily host up to 40 people. “There are no boundaries in this space. It’s big and open, and people feel free to throw out ideas. It represents how we work. There are no boundaries to great ideas,” says Thomson. A few steps past The BIG Think, a group of bench workstations and four huddle rooms offer employees places for individual and small-group work. 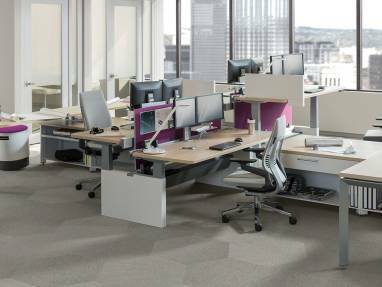 Standing-height worksurfaces line the aisle that leads to another open collaboration area, more unassigned bench worksettings and a pair of enclosed meeting rooms. The wide range of workspaces gives employees the ability to choose where and how to work, supports easy communication with their peers and promotes mobile work. 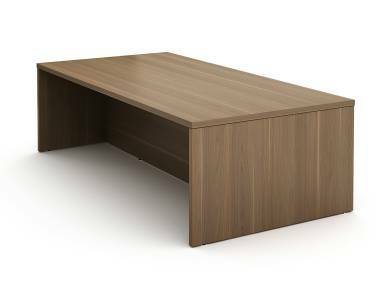 Since employees also require privacy for heads down work, confidential discussions and an occasional respite, HDR integrated several privacy options into the work environment. In addition to the four huddle conference rooms, there are four freestanding Brody WorkLounges that offer ergonomic seating, adjustable worksurfaces, access to power and lighting, and seated privacy so users feel separate but still connected to the rest of the space. “Oh my goodness, we love the Brodys. You can put yourself almost in a cocoon,” says Julie Robertson, senior interior designer. When any of the HDR principals are out of the office, their private offices are available for use by employees. “They consider their space an extension of our space,” says Robertson. When any of the HDR principals are out of the office, their private offices are available for use by employees. They consider their space an extension of our space. Employees’ ability to choose and control their work environment and workstyle helps reduce issues with noise and disruption. Employee surveys have found that in HDR’s former office, noise disrupted work in individual primary workspaces up to 74 percent of the time. In the new space, it has dropped to 45 percent. Other measures show similar improvements. Just 25 percent of employees felt the former office promoted creativity; now 95 percent feel the new office does. Only 36 percent of employees felt the former office promoted innovation; now 95 percent say it does. And while 42 percent of the staff said the old space promoted knowledge sharing, now 100 percent say the new office does. Designers bring people, place and technology together to help enhance work — and have been doing it since the first high rise. Designtex President Susan Lyons leads a team of innovators who others look to for inspiration. Find out what inspires them.